Tehran, Jan. 3(Iranian Cultural Heritage News Agency)-Qasr (palace) prison in Tehran, one of the oldest Iranian political prisons, will be turned into a cultural complex. Meanwhile the solitary cells in this prison in which some of the most famous politicians and activists like Ayatollah Mahmoud Taleghani, a member of the constitutional council after the Islamic revolution, and Mohammad-ali Rajayi, the 2nd Islamic Republic president, have served some time will be opened to public in the form of a museum. 4 members of the association of Iranian political prisoners will visit this prison in order to identify the cells that have contained these famous political activists. Qasr prison built in 1790 at the time of Qajar king, Fath-ali Shah, in the form of a palace was the first prison in Iran in which the prisoners got their legal advantages. "Since the solitary cells in this prison are the birthplace of the memories and struggles of Iranian political activists, the association of Iranian political prisoners will cooperate with the cultural heritage and tourism organization in identifying the cell of each activist", Mehdi Memarzadeh, head of preservation department in Tehran CHTO, told CHN. The women's prison, ward towers, and the mosque are also among the buildings in Qasr prison due to be preserved and renovated by the Iranian CHTO. Built by Markov, the Russian architect, Qasr prison had 192 rooms for a total of 700 prisoners, among which about 100 cells were solitary. 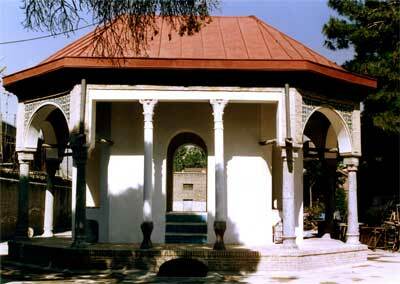 This Qajar-era prison was mostly comprised of gardens like Eshrat-abad, Heshmatieh, Saltanat-abad, Malek, Negarestan, and Baghe Shah of which no traces apart from their names are left today.